The pioneering outlaw country music supergroup that featured Johnny Cash, Willie Nelson, Waylon Jennings and Kris Kristofferson; No. 1 debut "Highwayman"
"Willie’s the outlaw coyote. 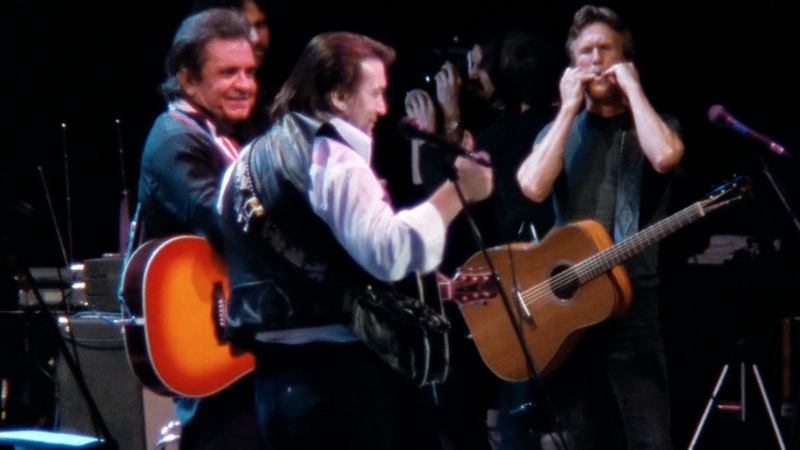 Waylon’s the riverboat gambler. I’m the revolutionary communist radical and John is the father of our country." 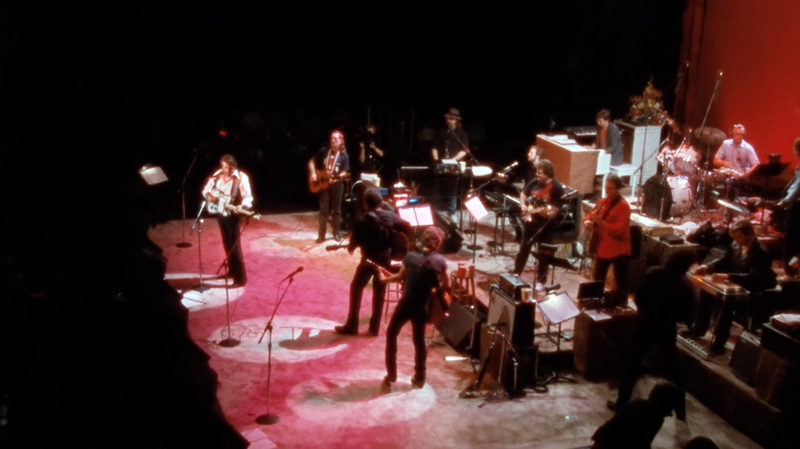 The Highwaymen performing at Nassau Coliseum in Uniondale, N.Y., in 1990. Screenshot from The Highwaymen: Friends Till The End. Courtesy of Sony Music Entertainment. Screenshot from The Highwaymen: Friends Till The End. Courtesy of Sony Music Entertainment. 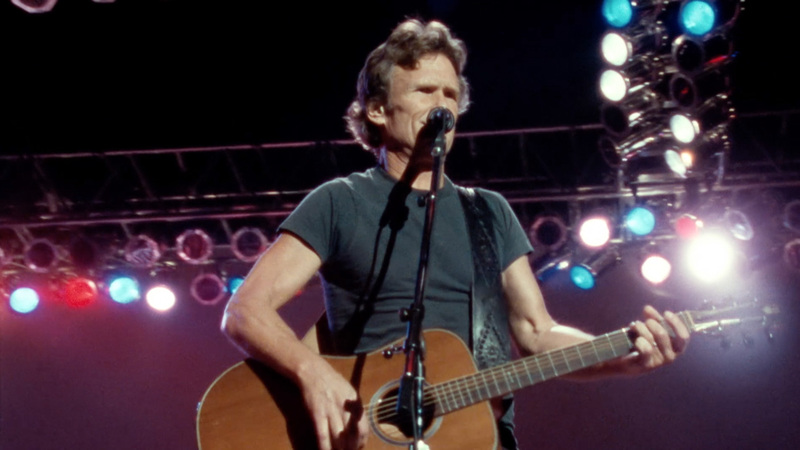 Kris Kristofferson performing at Nassau Coliseum in Uniondale, N.Y., in 1990 with The Highwaymen. Screenshot from The Highwaymen: Friends Till The End. Courtesy of Sony Music Entertainment. 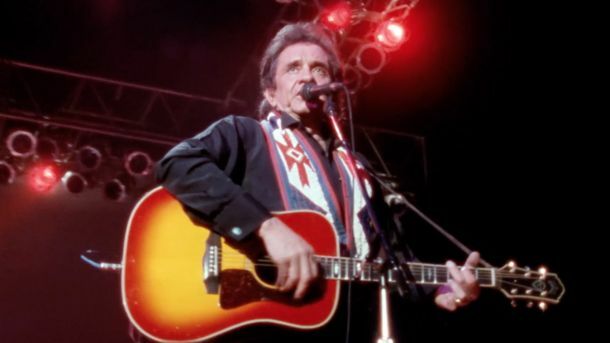 Johnny Cash performing at Nassau Coliseum in Uniondale, N.Y., in 1990. Screenshot from The Highwaymen: Friends Till The End. Courtesy of Sony Music Entertainment. Willie Nelson performing at Nassau Coliseum in Uniondale, N.Y., in 1990 with The Highwaymen. Screenshot from The Highwaymen: Friends Till The End. Courtesy of Sony Music Entertainment. 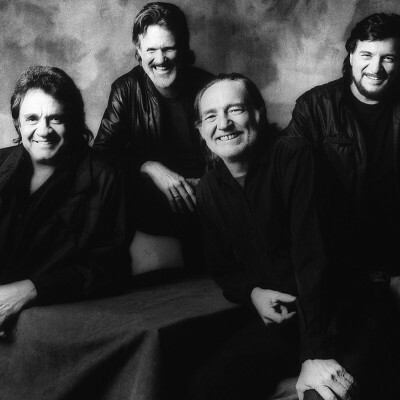 Indeed, the Highwaymen were big enough to contain America’s truths as well as its arguments. 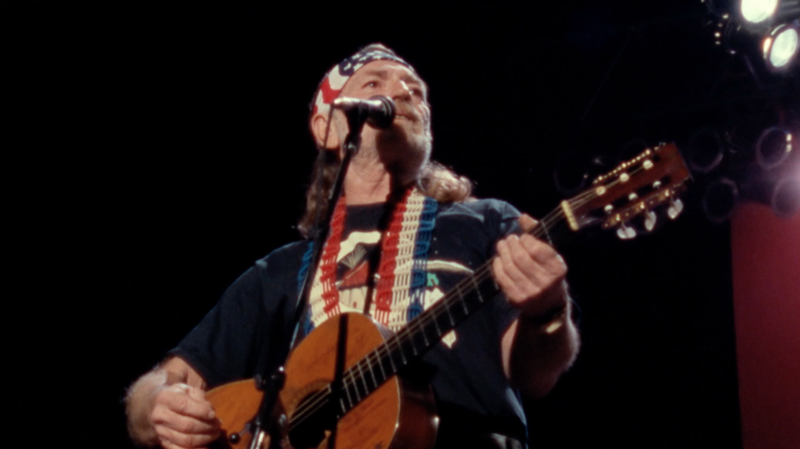 One night Kristofferson sang “Johnny Lobo,” about native American activist John Trudell who had served in Vietnam but felt so dishonored back home that he burned an American flag on the steps of the FBI building in Washington, D.C. Right after “Johnny Lobo,” Johnny Cash—introducing his song “Ragged Old Flag”—told the same audience, “I thank God for all the freedoms we’ve got in this country. I cherish them and I treasure them—even the rights to burn the flag. I’m proud of those rights. But I tell you what, we’ve also got…” He paused, because the crowd had started booing loudly enough to drown him out, then he confidently hushed them. “Let me tell you something — shhh — we also got the right to bear arms, and if you burn my flag, I’ll shoot you. But I’ll shoot you with a lot of love, like a good American.” It was a statement full of extraordinary twists and turns, genuine pride and dark-humored irony—and only Cash could get away with weaving such disparate stances and affectionate sarcasm together. When all was said and done, Johnny Cash looked at America the same way he looked at himself: with forthright regrets and unrelenting hope. One night backstage, Cash overheard Kristofferson’s young son tell another child, “I’ll shoot you.” When Cash learned that the boy had picked up the phrase from Cash’s own speech on stage, Johnny said, “That’s wrong. “I’ll never do that again.” And he never did.